Legend Technologies is the leading Contech Weighing Machine Suppliers in Hyderabad. We are dealing in all Contech Jewellery Weighing Machines. We deal in entire range of the Contech Weighing Machines Brand. 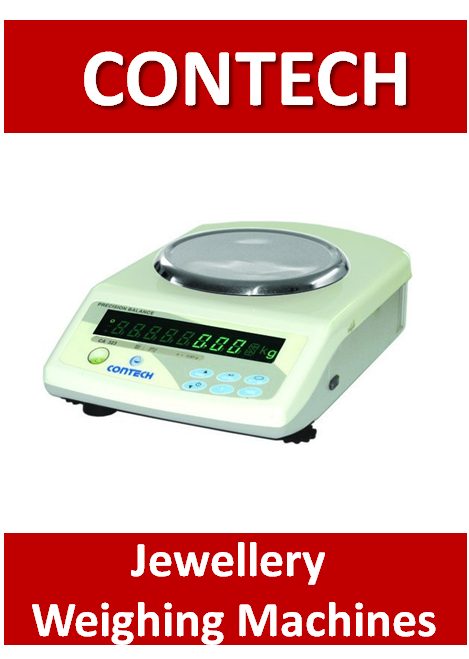 Contech Weighing Machines are one of the well known and best brands trusted by Jewellers. The Contech Weighing Machines provide accurate weight of the metals. Legend Technologies Contech Weighing Machine Suppliers in Hyderabad is dealing in Digital Contech Weighing Machines and its accessories for the customers in Hyderabad.